When was the last time you had pudding for dessert? In Turkish cuisine, puddings, custards and other desserts made with milk are not just kid stuff. They're serious dessert fare that has been present in the cuisine for centuries. Milk-based desserts are a favorite of home cooks, especially those with kids, but they're also loved by all. You'll even find them on the menus of the finest restaurants. Cafe-style restaurants serving only puddings, milk desserts and Turkish coffee and tea are very popular in the big cities. Some have become famous franchises with locations throughout the country. There's nothing better than relaxing on a Sunday afternoon, then heading out for a bowl of sweet, milky custard and a glass of freshly brewed Turkish tea or coffee. Turkish puddings are usually thickened with flour, wheat or rice starch. They are sweetened with sugar and flavored with everything from saffron, rose water, and pine mastic to the vanilla, chocolate and strawberries we all know and love. One popular dessert even contains finely shredded chicken breast! Here are the best known and loved Turkish puddings, custards and milk desserts. Baked rice pudding fırın sütlaç is a milk and rice custard pudding very similar to what we all know and loved as a child. Whole milk is gently scalded together with sugar, cooked white rice, and starch for thickening. Then it’s baked in the oven, where it forms a golden, sometimes slightly charred skin on top. 'Sütlaç' is a favorite of all ages and it’s served not only at home but in most meat or fish restaurants and dessert cafes. Noah's ark pudding aşure is said to be one of the oldest desserts in the world. This Turkish classic is a symbol of diversity. It's prepared and shared during the season of Ashura. It's packed with healthy ingredients like whole-grain wheat, legumes, nuts, and dried fruits. This classic Turkish chicken breast dessert Tavuk Göğüsü is high in protein and actually contains finely shredded white meat chicken. It may seem strange at first, but once you taste this classic Turkish dessert, you'll get hooked. 'Chicken breast' is loved by adults and kids alike. It's a great way to get more protein into your kids' diets. 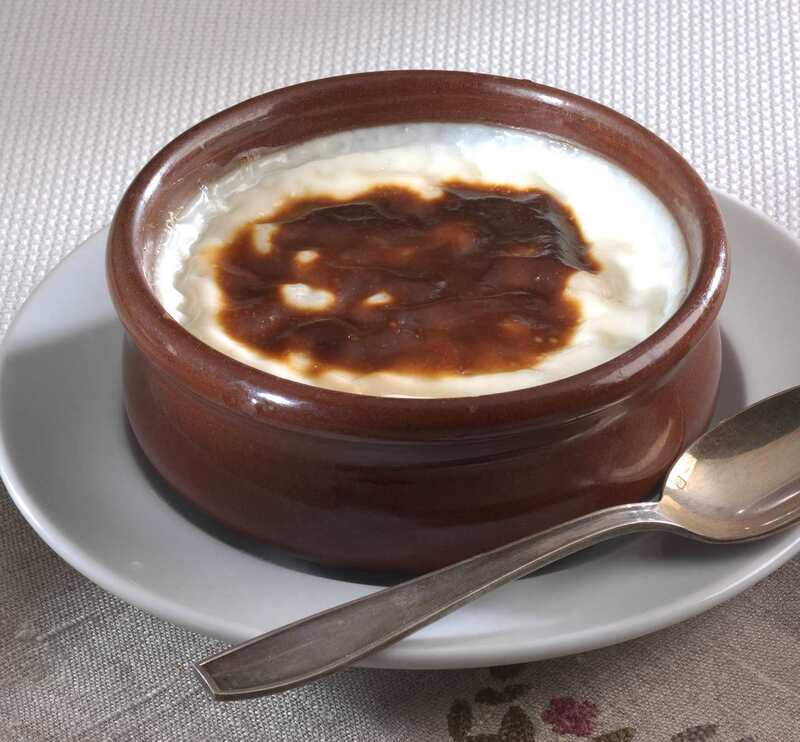 Kazandibi is pudding caramelized on one side and is another Turkish dessert classic. Its name means "bottom of the pan" and that's just what it is. 'Kazandibi' is actually Turkish 'chicken breast' dessert that is cooked a second time in a metal tray to caramelize one side of the pudding. It's very thick and usually eaten with a knife and fork.